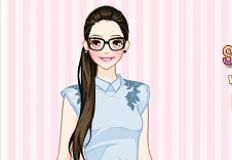 It's time for us to continue with our newest games presentation, girls, because we have prepared for you a lot of new and fun games, in which we definitely want you girls to have some fun. 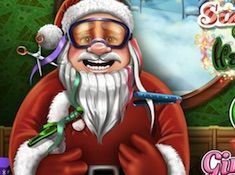 Precisely because Christmas is almost here, our site games-kids.com team wants to bring you some amazingly fun Christmas games, such as this one, Baby Lisi Santa Claus. 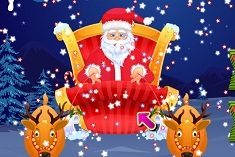 You girls are going to play the role of cute Baby Lisi, and her biggest dream is to meet her favorite character, Santa Clause, a character which almost no one gets to meet, but, it seems that you, girls, and cute Baby Lisi, are in quite some luck today, since you get to meet him and also play with him. 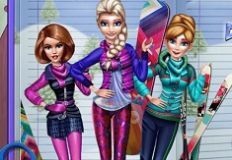 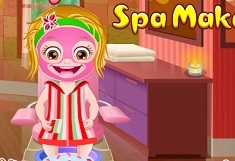 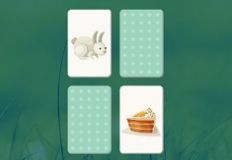 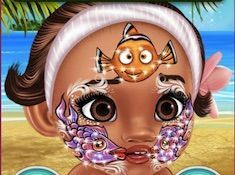 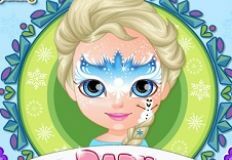 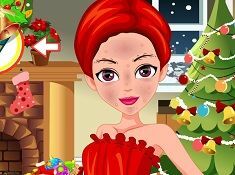 What you girls have to do, is to help Baby Lisi within this amazing game, as she wants to give Santa a little bit of makeover , by trimming his hair, beard, cleaning his teeth, and, last but not least, you will have to help her with a changing his outfit. 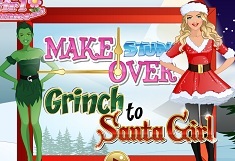 We want you girls to have some fun within this game, so, we wish you good luck!